Please type your desired tags, e.g. Immunology, Biology, Functional Genomics, lncRNA biology, Editing, Online Education, Hybrid Course Design, Mental Health, Health Policy, International Development, Women’s History, Communication, Form, Craft, and Genre Gender Studies, Games Development, Continental Philosophy, and etc. Trained in Control Theory, my main field of expertise consists in connecting methods from Analysis and Stochastic Processes in view of solving concrete problems of applied mathematics, not necessarily arising from Control. In the course of my scientific career I have supervised around 20 PhD students. I was among the early initiators of the theory of stochastic PDE in the sense of Ito. I worked in particular, alone or in cooperation, on stochastic monotone equations, stochastic Navier-Stokes equations, stochastic variational inequalities, and more recently on stochastic inertial manifolds. This theory has found some of its most interesting applications in the study of nonlinear filtering theory, where the work of my former student PARDOUX is a reference. Note that numerical resolution is now within reach, which makes this field of research quite active and quite useful for applications. Gelfand Vilenkin and L. Schwartz. This permits a rigorous approach to a large variety of problems, provided the model is linear. I was in particular able to apply these techniques to a bidimensional model playing a role in image processing, or to the problem of optimal location of sensors. In the problem of control, I contributed strongly to the theory of necessary conditions, and to a rigorous approach of Dynamic Programming via nonlinear semi-groups. The main field of application concerns the stochastic control of systems with partial information, which naturally has a huge domain of applications. I discovered, which is now standardly used, that variational inequalities corresponded to the dynamic programming treatment of optimal stopping, and then solved, with J. L. LIONS, the impulse control problem, via a new theory, called the theory of quasi variational inequalities. This has initiated a long and fruitful cooperation on this topic with J.L. LIONS and many colleagues and students. Many applications of this theory concern old and new problems of Operations Research and Management, as well as Physics and Mechanics. Stochastic Nash differential games lead to sytems of elliptic and parabolic PDE. The regularity of solutions is extremely important for obtaining a Nash point. This has motivated a longstanding cooperation with J. FREHSE, one of the worldwide specialists of the regularity of elliptic systems. I have also solved with him the ergodic case, which even in the case of one equation was open in its full generality. My interest for this domain stems from its connection with the field of Risk sensitive stochastic control. In fact, I first solved with J. VAN SCHUPPEN the problem of finding a sufficient statistics(of the same size as the the state, which was an open problem) for the LEG (Linear ExponentialGaussian) control. More recently, in cooperation with J. BARAS and R. ELLIOTT, for the partial information case, and H. NAGAI and J. FREHSE for the full information case, I have contributed several results to justify some earlier formal treatment. The connection between robust control and risk sensitive control can be best seen through small noise introduction and singular perturbations. This is a field of very active research worldwide, by the broadness of the applications and the use of many mathematical techniques. It is one of my current research areas. Initiated by the probabilistic interpretation of homogenization, my interest in this domain has widened into an important cooperation with J.L. LIONS and G. PAPANICOLAOU, where we have developed many general approaches to this very fruitful theory. More recently with L. BOCCARDO and F. MURAT I have considered the homogenization of Bellman equations, and with G. BLANKENSHIP the case of random homogenization. Homogenization can be viewed as a particular situation of singular perturbations. But of course many other situations can be considered. It was natural for me to be interested in their application to Control theory, both deterministic and stochastic, and in the latter case with full or partial information. Many particularly useful results can be obtained in the case of partial information, where one can derive approximate but accurate finite dimensional feedback laws, where the optimal one is infinite dimensional. Since Control Theory has a lot of applications in many areas of Quantitative Management, I have cooperated with several specialists of the field to obtain the solution of concrete problems. My current interest lies in Operations Management and in Finance. I have been working in the design of complex options with M. CROUHY and D. GALAI. More recently, with my student H. Julien, I have investigated models of options for incomplete markets, where the incompleteness arises from ”frictions” in the management of portfolios. Another approach to this problem has been developed with N. TOUZI and J. L. MENALDI, using penalty approximations and Viscosity methods. Since I joined UTD, the University of Texas at Dallas, I have been working on Inventory Control problems, with S. Sethi, M. Cakanyldirim, and PhD students. Our research focuses on stochastic models with partial information ( a field where little is available ), on service constraint models, on s, S policies. I have been also involved , jointly with S. SETHI, in models of Economic Growth developed by K.J. ARROW and al., taking into account population growth aspects. Charter Fellow, Society for Industrial and Applied Mathematics (SIAM), 2009. 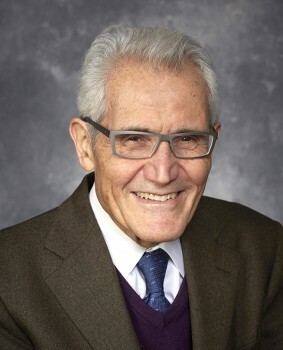 Vice Chairman of the IFAC ”Mathematics of control” Committee from 1978 to 1981. Member of the organizing Committee of the IFAC World Congress (1981). Member of the selection Committee for the session Control Theory and Optimization, International Congress of Mathematics, Helsinki 1978 and Chairman for the same session, Warsaw 1982. Chairman of AFIRST, Franco-Israeli Association for Science and Technology from 1992 to March 1999. Member of the Advisory Council of the Institute for Systems Research, University of Maryland. Member of the Board of the Pitman Advanced Publishing Program in Mathematics. Member of the Advisory Board of Mathematical Finance. Editor in Chief of Asymptotic Analysis Journal (IOS Press). UT Dallas School of Management Professor Alain Bensoussan has been named one of the charter fellows of the Society for Industrial and Applied Mathematics (SIAM), the world’s leading applied mathematics society. Dr. Bensoussan, distinguished research professor and director of the School of Management’s International Center for Decision and Risk Analysis, is one of 183 members of the inaugural class of the SIAM Fellows Program. The fellowship program recognizes distinguished representatives in academia, government and industry for their contributions to the fields of applied math and computational science. Eight of the honorees are from Texas: four from UT Austin, two from Rice University, one from the University of Houston and one from UT Dallas. 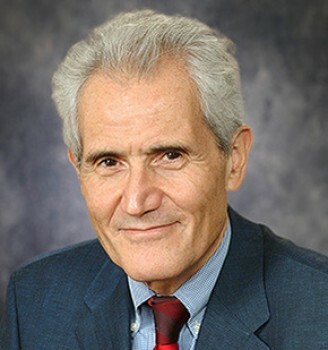 Dr. Alain Bensoussan, professor of risk and decision analysis and an Ashbel Smith Professor in the Naveen Jindal School of Management at UT Dallas, is among 1,119 international mathematicians who have been named Fellows of the American Mathematical Society (AMS) for 2013. This is the inaugural class of honorees. The Fellow designation recognizes outstanding contributions to the advancement and use of mathematics. Bensoussan’s research focuses on decision-making under uncertain circumstances. Some examples of the many areas where this research is applied include financial markets, forecasting wind energy, designing structures that can resist earthquakes and developing strategies for stabilizing an aircraft, Bensoussan said. Risk and decision analysis—a timely topic in the unfolding meltdown of world financial markets—is the focus of a new quarterly journal co-edited by a UT Dallas School of Management professor and published for the first time this month. Co-editor Alain Bensoussan says Risk and Decision Analysis looks at risk in various venues, including industrial operations and services management, finance, insurance, energy, safety and security, health care and the environment. 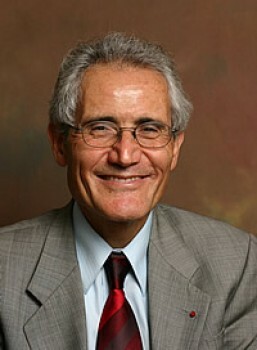 Bensoussan is Distinguished Research Professor in the School of Management and director of the school’s International Center for Decision and Risk Analysis. 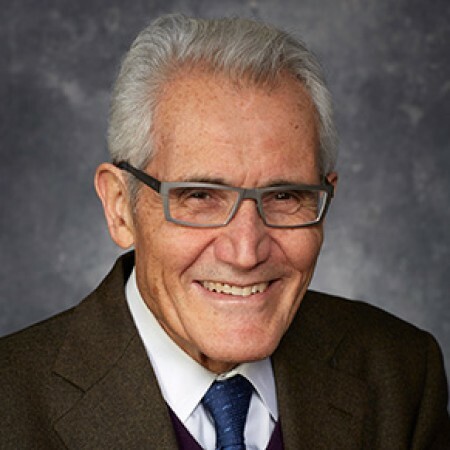 He shares editing duties with Charles Tapiero, the Topfer Distinguished Professor and chair of the Department of Finance and Risk Engineering at New York University-Polytechnic Institute. The Internet of Things — a time in the near future when trillions of electronic devices will be connected to the Internet — will increase the need for interdisciplinary approaches to cybersecurity, experts say. “With electronic devices now and in the future collecting medical, fitness, social, financial and other types of information, the potential amount of data security problems will increase across a variety of fields,” said Dr. Murat Kantarcioglu, associate professor of computer science in the Erik Jonsson School of Engineering and Computer Science. The International Center for Decision and Risk Analysis (ICDRiA) in the Naveen Jindal School of Management at The University of Texas at Dallas has joined forces in a research partnership with the new Risk and Insurance Institute at Le Mans University in France. Dr. Alain Bensoussan, director of ICDRiA, professor of risk and decision analysis, and holder of a Lars Magnus Ericsson Chair, signed the formal agreement for the partnership last November in France.